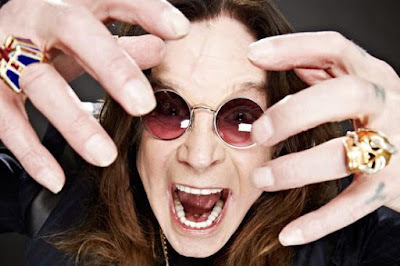 Ozzy Osbourne performed his 1983 classic, “Bark At The Moon”, during the total solar eclipse at the Moonstock Music Festival in Carterville IL on August 21, and video from the show has surfaced online. The Southern Illinoisan reports Osbourne took the stage at Walker’s Bluff as the first diamond ring of the eclipse appeared to open his headline set at the event as the shadow of the moon swept across the crowd. The Black Sabbath singer closed out the 4-day Moonstock event, which also featured headline sets by Five Finger Death Punch, Halestorm and Black Stone Cherry. According to Walker’s Bluff owner Cynde Bunch, the festival drew rock and eclipse fans from around the world, with one-fourth of the tickets sales to people from outside the U.S. Since wrapping up his career with Black Sabbath earlier this year, Osbourne relaunched his solo career at the Rock USA Festival in Oshkosh, WI last month as part of a summer run of U.S. festivals. The singer will next perform at the Louder Than life Festival in Louisville, KY on September 30.